We are a 24 hour NATIONAL operational Contact Centre situated in Pretoria consisting of 64 extensions and can handle over 100 calls at a time. We have medically trained Emergency Call Centre personnel to manage any pre-hospital emergency and inter-facility transfer. Our personnel are experienced, friendly and well trained in Emergency Call Taking and Dispatching. All our calls are voice logged and all vioce recordings are stored on an off-site server for 10 years for quality control and training purposes. This enhances the quality of work by the Call Centre Agents. We have an electronic data system where all our calls are captured and stored. Our Emergency Resource Dispatch System (ERD System)is user friendly and demographic contact information is preloaded in the system to make Call Taking and Dispatching faster and more efficient. On board we have the latest tracking technology. Satellite tracking of all emergency vehicles are integrated with a mapping system which makes it easy to send the closest vehicle to every call we receive. Our tracking system has the function of finding the location on the map and sends a message to the GPS in the ambulance. This saves response times and lives. We dispatch road and air ambulances as well as rapid response vehicles to medical emergencies based on dispatch and medical criteria. We liaise with other emergency services, ie. Fire Department, SAPS, etc to emergency calls where necessary. 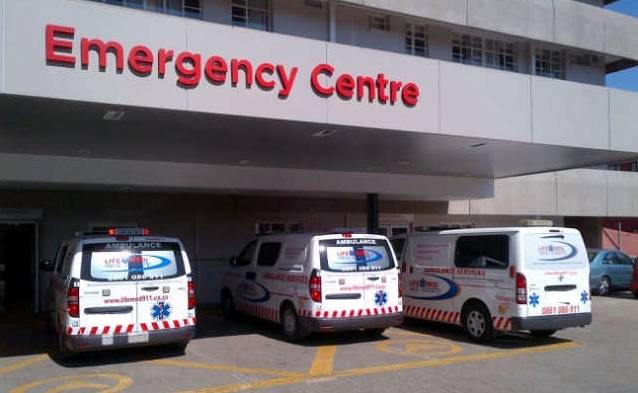 The call centre provide 24/7 authorization, national dispatch of ambulances and clinical management of the calls for our clients CSIR, IMS, EnableMed, including medical aids Makoti, Medihelp, Commed Roots, Malcor, Groom Cover for all the pre-hospital medical emergencies and interhosptal transfers. For any medical Emergency or Medical Transfers phone our emergency line. Please call 082 853 2129 if our emergency line is down as a result of technical errors.